FRAMA (1981) - Definitive issue, counter variable value stamps - SFS - machine nr. S145244. 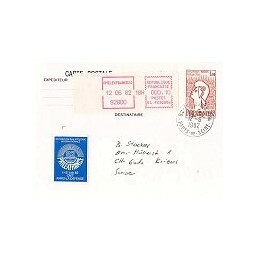 Cover posted to Switzerland (0170). FRAMA (1981) - Definitive issue, counter variable value stamps - SFS - machine nr. S145947. Cover posted to Switzerland (0170). FRAMA (1981) - Definitive issue, counter variable value stamps - SFS - machine nr. S160360. 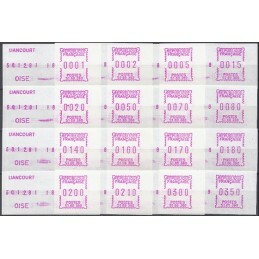 Collection of 16 mint stamps (0001-0002-0005-0015-0020-0050-0070-0080-0140-0160-0170-0180-0200-0210-0300-0350). FRAMA (1981) - Definitive issue, counter variable value stamps - SFS - machine nr. S182134. Cover posted to Switzerland (0170). FRAMA (1982) - Definitive issue, counter variable value stamps - SFS. Machine G2 PC75508. 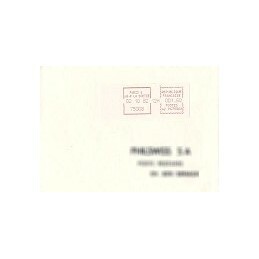 Registered cover with delivery receipt, mailed to Switzerland (017.50). FRAMA (1982) - Definitive issue, counter variable value stamps - SFS - machine nr. G2PC75508. 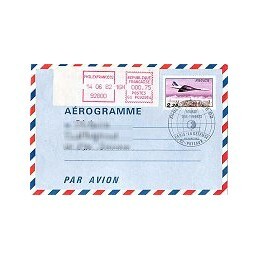 Cover mailed to Switzerland (001.60). 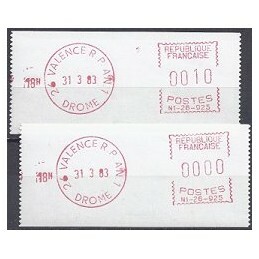 FRAMA (1982) - Definitive issue, counter variable value stamps - SFS - Special imprint Philexfrance82 - machine nr. G1PC92954. 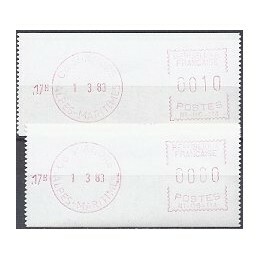 Aerogramme (2,35), additional franking with variable value stamp (000.75). 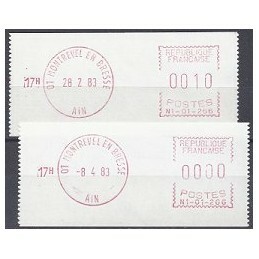 FRAMA (1982) - Definitive issue, counter variable value stamps - SFS - Special imprint Philexfrance82 - machine nr. G1PC92954. 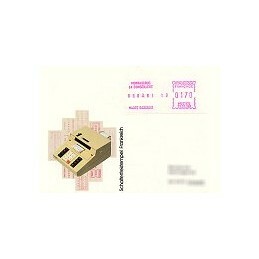 Prefranked postcard (1,60), additional franking with variable value stamp (000.10). SATAS (1983) - Definitive issue, counter variable value stamps - SFS - machine nr. N1-01-266. Collection of 2 mint stamps (0010 + 0000). SATAS (1983) - Definitive issue, counter variable value stamps - SFS - machine nr. N1-06-114. Collection of 2 mint stamps (0010 + 0000). SATAS (1983) - Definitive issue, counter variable value stamps - SFS - machine nr. N1-26-925. Collection of 2 mint stamps (0010 + 0000).